One of the more encouraging things to me is the contemporary resurgence of ancient hymns set to new music--e.g., music from Bob Kauflin, Indelible Grace, Red Mountain Music, Page CXVI, Reformed Praise, The Rain City Hymnal, etc. Today I received my copy of Sojourn Music's new album, Over the Grave: The Hymns of Isaac Watts, Volume 1. For the last week or so I've been listening to some of the songs on their Facebook page (see the music player in the left-hand column) and their MySpace page. Now I know I can be something of an "enthusiast" (Packer once used those words to describe himself, and I think it fits me as well!). But I have to say that I love this album. The lyrics, of course, are theologically sound--God-centered and gospel-centered. The music is creative, diverse, and excellent. Can wash away this stain from me. For only your blood is enough to cover me. In the midst of the Reformation in England, Isaac Watts recognized that people needed to see the gospel in the psalms and hymns of the church, and they needed to sing them in language and metaphors that they understood. In this, he became not only the father of the modern hymn, but the pace-setter for contextualizing the gospel for the people of God. As musicians, pastors and songwriters, our desire was to explore the hundreds of hymns that Watts wrote during his lifetime, to learn from the incredible range and depth of his lyrics, and to re-envision those songs with modern language and melodies. In particular, we gravitated towards themes that seem unfortunately absent in modern worship — themes about God’s wrath and judgment, His righteousness, and a dramatic vision of the cross and atonement of Christ. This CD is the first installment of the Isaac Watts Project: songs inspired by and adapted from his hymns. The record was written and performed entirely by musicians from Sojourn Community Church — 35 in all. It is our hope that this project, like Watts’s hymns, will point us beyond the music and lyrics to see the glorious Savior who inspires them. They just signed a record deal with Bonded Records, who will distribute the album on iTunes, Amazon, in stores, etc. late summer or fall. 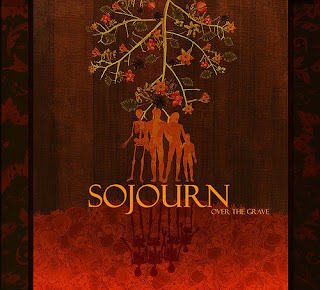 So you can't download the MP3 anywhere yet, but you can order the CD from Sojourn. If it's not clear yet, I give it my highest recommendation!